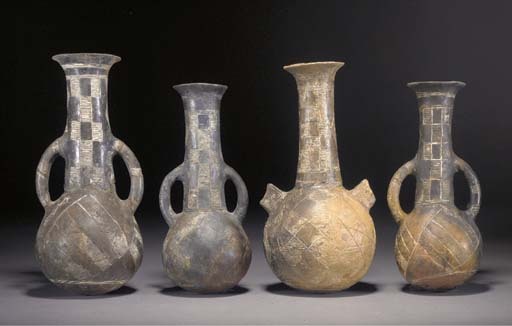 The Art of Ancient Cyprus, p. 23, pl. 14e (item one) and pl. 14d (item two). Item one appears to be a unique type; the other three with handles are, at present, the only known examples of their type.